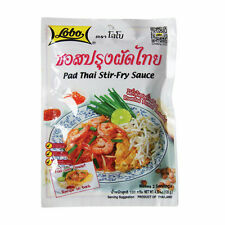 Ingredients: Sugar, peanuts (17%), Tamarind Paste (Tamarind, Water) (12%), Shallot, Fish Sauce (Anchovy Extract, Salt, Sugar) (11%), Tomato Paste, Garlic, Fully Refined Soybean Oil, Distilled Vinegar, Salt, Chilli. Delicious when spread thinly on toast, the Marmite Yeast Extract is a 100 percent vegetarian product and a good source of B vitamins. Net Weight: 473ml. Ingredients: Certified Organic Raw Apple Cider Vinegar, Diluted to 5% Acidity. While we aim to make sure all product information is correct, manufacturers are often adapting and redeveloping their products, including changes to ingredients, allergens & dietary. Pumpkin Seed Oil - Cold Pressed, Unrefined 250 ml - Ol'Vita. Pumpkin seed oil. This pure pumpkin seed oil contains valuable source ofvitamins : A, B1, B2, C, E and H. It is also rich of minerals such as iodine, magnesium, iron, potassium, sodium, zinc, phosphorus and calcium. Safflower NATURAL 50ml cold pressed 100% BIO - ETJA. It contains the largest amount of linoleic acid in all vegetable oils. Safflower BIO ETJA does not have any of the dopants is Obtained as a result of cold pressed 100% natural. Borage seed oil - Foodstuff, Unrefined, Cold Pressed, Ol'Vita - 100 ml. Borage oil is rich of GLA acids, which have main impact on our skin condition. It also combats dysfunctions and infections of the skin. Brown Sauce, Tomato Ketchup, BBQ Sauce, Sweet Chilli Sauce, English Mustard, Tartare Sauce, Salad Cream & Mayonnaise. Great British Market is run from the UK for anyone who is missing a little of Blighty. Evening Primrose Oil - cold pressed, unrefined 250 ml Ol`Vita. Evening Primrose Oil is obtained by cold pressing evening primrose seeds. Evening Primrose Oil has a delicate taste and lightly yellow color. Marie Sharp's Belizean Heat. ::: Chilli Bugs :: Bottle Size: 10fl oz (300ml). Flavour with heat. This is why Marie Sharp's sauces are famous world-wide. Specially blended for devoted heat seekers, this sauce is great for cooking. Ingredients: Water, Ground Spices (Paprika, Coriander (9%), Chilli (4%), Cumin, Ginger (1%)) (30%), Rapeseed Oil (17%), Salt, Acetic Acid, Garlic Powder. The goods must be in original and resalable condition. You can add it to a glass of water for flavour and to aid digestion, or to your daily yogurt. It can also be used in salads, sauces and desserts. The award-winning vinegars of Borecet Kft, an upcoming family owned manufactory, were born in the heart of the Tokaj Wine Region, gently crafted by expert technicians. Badia Blends Steak Seasoning. Herbs, Spices & Seasoning. Cooking & Baking Ingredients. Blue Mountain Peak has now taken the step to provide it's specialist products online for everyone to enjoy. Website Availability & Images. It can be added to mineral waters, tea, curd, yoghurt, muesli and candies. Sea Buckthorn Seed Oil. Ingredients : 100% organic Sea Buckthorn seed oil. Highest Premium Quality - Food Grade - Perfect for herbal tea 250g. We will always help you to have a 100% positive happy buying experience. Add to Favourites. Ideally suited for frying. Perfect for use in oriental cuisine. Coconut oil contains a unique combination of fatty acids by which has a high nutritional value and healing properties. People who eat a lot of food from coconuts are one of the healthiest people on the planet. 1 x 150ml Scorpion Scorcher Chilli Sauce. Hot Face Sauces - Scorpion Scorcher. Made with fresh Scorpion Chilli (21%) and Scotch Bonnet Chilli (16%). The most popular hot sauce by a long way and a great cooking sauce. They focus on bringing out the flavor of the spicy peppers they use, rather than the heat, and slow cook their sauce to perfection. Peri-Peri sauce is made with African Bird's Eye Chilli and a blend of ingredients - sun-ripened lemons, onion, garlic and spices. No added MSG. Gluten free. The product is made of an aqueous solution of natural wood smoke. natural smoke hardwood (alder, bird cherry, apple, etc.) cleaned of impurities and resins mixed with specially treated water. aqueous solution of natural wood smoke. Water, Sugar, Salt, ModifiedCorn Starch, Flavour Enhancer (E621),Oyster Extractives (3%),Wheat Flour, Colour (E150C). Product containsWheat andOyster. Curry Gewurz Ketchup 500ml. Tomato juice, sugar, dextrose, salt, curry, pepper, paprika, chillies, cloves, wine vinegar, modified starch. Amaranth oil,cold pressed, unrefined. The oil is pressed out of thoroughly selected and tested amaranth seeds. Amaranth oil 100 ml - Glass Bottle. per serving: 1 teaspoon (4g). Storage: in dark, cool place.